It is your day so you should have a say in where the event is taking place. It will be disastrous to leave this decision to your planner or your friends. You have to agree on the location and also consider bachelor party bus rental. How do you go about this? Sit with your event organiser and list out top three destinations or spots depending on your interest (remember, it is your day). You don’t necessarily have to be the one to make the suggestion but you have to agree with it. After agreeing on the venue, the next thing to do is to choose a date that works perfectly well for you and your guest. Quick tips on choosing a date; let the date be at least 6 weeks in the future so that you can have enough planning time. Secondly, the date should not fall during a holiday or a famous vacation weekend. This is because your guests might have other plans for the day. This is very important. Sometimes, you might want to think that everyone you invite will not have other things planned out and will definitely show up at your event. 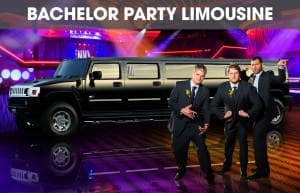 You have to make your party guest list and decide on bachelor party limo NYC for their transportation. The ideal size of any bachelor party should be ten. If you have more than this, you should consider splitting tables at bars and dinning. By this, you will have a fractured group and might not be able to carry everyone at the venue along. In making your list, you have to consider the social dynamics of your guests. You will not want a fight or class tussle to play out at your party, would you? Know each of your guests, their preference, any beef with any other member on your party list, and every other thing you can think of. This is to prevent any friction during your party. After making your guest list, the next thing is to make the full plan. Get everyone together, plan for the weekend. It is important to have an agenda, not rigid though. You should have a sketch of what the event will look like and you should give room for pleasant surprises. As soon as your agenda has been developed, start sending emails to your guests. It is important that the email is creative, short, informative and funny. Long Island Limo Rental is a leading limo service provider in the transport business. We offer a wide range of vehicles to our numerous customers. We also offer bachelorette party limo packages. We provide only the best for our customers. If you are looking for comfortable, exquisite, reliable and safe transport service, we are your ideal choice. Call us today to find out more about our service.